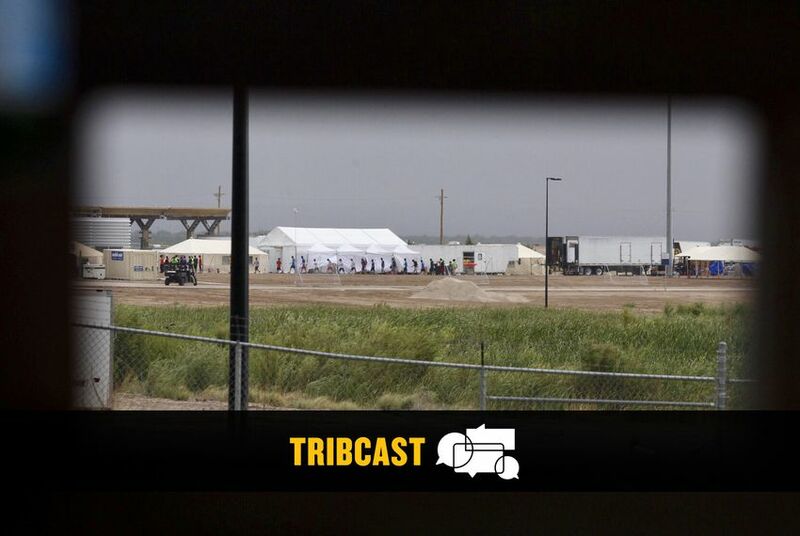 On this week's TribCast, Emily talks to Ross, Emma and The Dallas Morning News' Dave McSwane about the separation of immigrant families on the Texas-Mexico border and McSwane's Pain and Profit series about misdeeds in the state's Medicaid managed care program. We also talk to state Rep. Tony Dale about his bellwether November election and U.S. Rep. Marc Veasey about the upcoming state Democratic Party Convention. Dave, who coauthored his amazing series with Andrew Chavez, reveals how the state's big move to Medicaid managed care — meant to be more cost effective, better orchestrated and more efficient — has had a seriously dark underbelly. Some of the neediest, most desperate kids and adults with disabilities have been left without adequate care, and boy have there been consequences. State Rep. Dale, R-Cedar Park, weighs in on what it's like to run for re-election in a district that both Hillary Clinton AND Greg Abbott won, giving drivers in his district more non-toll road options and how he feels about family separations and immigration enforcement on the state's southern border. Democratic U.S. Rep. Marc Veasey, D-Fort Worth, tells D.C. bureau chief Abby Livingston the three things to watch for at the state's Democratic Party Convention this weekend, including "quality of candidates" like U.S. Senate candidate Beto O'Rourke. Thanks for joining us! We'll see you next week.